Ever curious how the ROM-Hacking and Emulation started? Or if your friends think you’re lying about playing games that you can’t own for free. It’s true. I didn’t believe it at first but one of my friends who are my neighbor showed me a method. Back in 1999, I wanted to own a Pokémon game, which is Silver. Games costs about $30 at the time but I couldn’t afford it without earning money from a job. Playing a video game on a computer you don’t own seems like stealing. My friend and I including my brother went to the place called “The Point” in the Bronx. There are computers, which you can use for Internet and other stuff. That’s how this crazy addiction to playing video games for free has started. By downloading the EMULATOR and the Pokémon Silver ROM. After seeing it on a computer before downloading, I knew I didn’t believe it but it was true. Seeing Pokémon Silver on a computer seems like you want to play it forever. But you can you manage it comparing to my Game Boy Color. I played it and it was like WHOA! But there is a HUGE difference. To me, Pokémon Silver was a bootleg comparing to the actual game. It’s because I didn’t know Translation hacking back then which is today you see many translated hacks at ROM-Hacking dot net. Question is, is it legal? Of course not, it is copyright infringement and most ROM sites have a 24-hour rule. Saying that you must delete the ROM off your desktop within 24 hours. Of course, it didn’t happen. There is a FAQ here on GameFAQS. Like I said about being a bootleg game, it is ACTUALLY a translated version of Pokémon Silver by Vida Translations while the English version from the official company NINTENDO and GAMEFREAK isn’t released in stores until later. 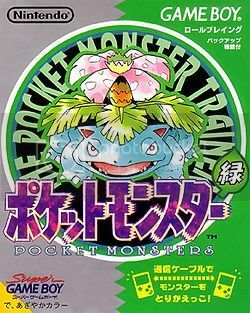 After playing Pokémon Silver, I decided to try an unreleased game called Pokémon Green (a.k.a Pocket Monsters), which only exists in Japan. It was same gameplay since I already owned my Pokémon Red on Game Boy Color. I decided to take it for a spin. I was crazy and addicted playing it on the top floor of the computer room. The only known difference in the game itself is the Cerulean Cave. 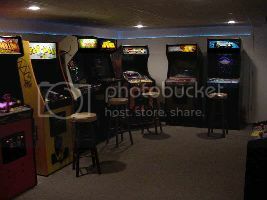 Few days later, playing the illegal ROM on an Emulator is now banned from the computer room at “The Point”. Saying that participants must leave and will be put on the banned list if you’re not using the computer for Internet purposes. 5 years later, since I owned a computer now, I decided to keep ROM-Hacking and Emulation away from my families, friends, cousins, and EVERYONE off the public. The only people I want to show is the people I don’t know which later I became a member of ROM-Hacking community called Acmlm’s Board which will be discussed later. 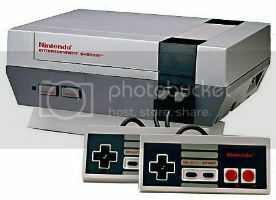 The NES console is the first I ever owned. I don’t remember how it first got there but I think it came from my mom’s personal friend. 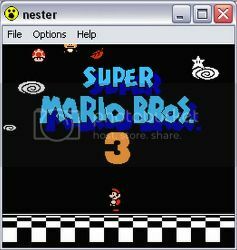 The first NES game I ever played is Super Mario Bros. 1. Super Mario Bros. 1 is the most common game I ever played. In my later blogs, I will talk about the game itself. 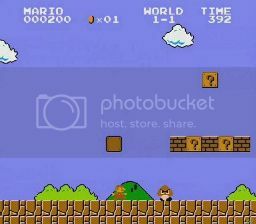 The game begins as the player named Mario. There are obstacles to make it through the level which is the flag pole. Players have the opportunity to bypass other worlds by going overpass in underground stages. Back then, I didn’t know about the secret Warp Zones 6, 7, and 8. I mostly go to 5. Back in my days, I had tough times going forward above World 6 which is in my later blogs. Later on, I’ve received Super Mario Bros. 2 USA and Super Mario Bros. 3 from my distant cousins. I never beat them since it’s difficult during my young age. SMB1 is NOT the only game I owned, but Mega Man III which I got mixed up with another Mario game or something like that. It’s a game made by CAPCOM. 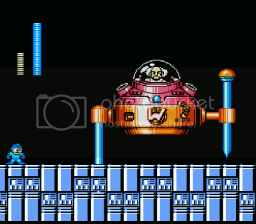 I became the franchise of the Mega Man series when the Blue Bomber is trying to save the world from the evil scientist Dr. Wily. It was fun to play and I learned from it. I find odd names when playing the game and didn’t understand the plot. When you pick the boss stages, it says Snake Man, Spark Man, Magnet Man, Top Man, blah blah blah. The first stage I saw or played is Magnet Man. And it has nice music. Other games came with Mega Man III that also includes Bad Dudes, Punch Out, and many others forgotten. Until it was sold away about 1995 by a thief parent which makes me sad. Do you ever go to the Arcade in your area? Or like to play video games that are appropriate for your kids. Back in the retro days, I used to play video games from an arcade machine in Laundromats, Pizza Stores, or even the Grocery Stores. When you play a game from the arcade, you are required to put quarters into the machine to play. Some signs say PLAY AT YOUR OWN RISK. I didn’t know it at first but I know what it means. It could be related to a seizure issue, or a money related issue. That means if you’re middle of playing video games and the power gets cut off, your quarter is GONE. You didn’t even beat the game. In my childhood, Street Fighter II is the most arcade game I played. I don’t exactly know who my favorite character is but Chun-Li is probably the one. Every time I play that arcade game, the 2P had challenged me which most likely to be teenagers including my own family member. When I get to 1P mode, I couldn’t even beat my first CPU opponent. 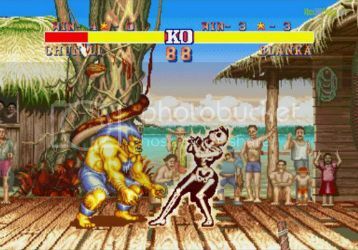 There are other versions of Street Fighter II arcade versions but that will be explained in my later video game blogs. By looking at the characters, every time the character I’m thinking of is the one I should use and try to be the champion. That never happened. Ryu or Guile seems like the best characters but I never made it in the process. Do you think Street Fighter II is appropriate for your children’s age? I didn’t even think about the violence or something like that when I play it. I just needed some entertainment don’t you think? My mom been taking me and my brother to these places and gives me change to play which is the best way to learn. Insectduel's Game Corner is where I discuss video games in my everyday life. Whether is a rom hack, owned game, arcade games, fangames and many others. However, this will be talked at least 3 times per day. So if you're a video game fan, please JOIN ME. Keep in mind that there will be ads in my blog so it's important to gain a little cash to my community. This blog is NOT going towards my Insectduel's Domain website. It's a WIN, WIN, WIN. I'm looking foward to meet Kinuyo Yamashita but she's is currently expensive and the estimate is $200.